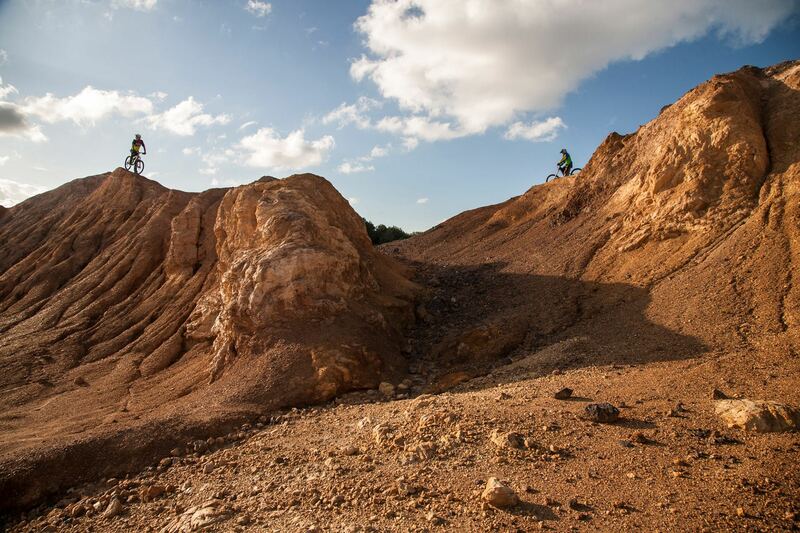 “Elba Gravity Park is a wonderful, natural park with all the variety and features mountain bike enthusiasts love. There is a network of well-groomed, well sign-posted trails,” says Dario Scattu, President of Gravity Park. “The beautiful, natural setting covers quite a large area and is located on the eastern side of the island, near to the villages of Rio in Elba, Bagnaia, Rio Marina and Cavo. One section of the trail takes in the slopes of Volterraio and Monte delle Panche, crossing through luxuriant Mediterranean maquis and offering wonderful panoramic views”. 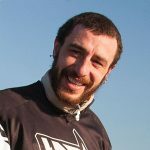 Let’s start the story of a day out mountain biking in the company of Dario Scattu, with photos by Roberto Ridi. 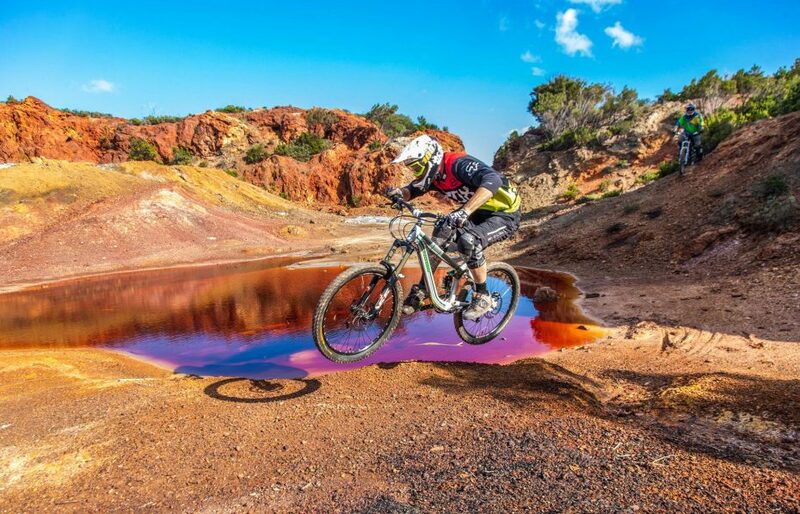 “The extraordinary form of the terrain, just like the rest of the island, offers many possibilities for MTB lovers and is great for all types of fat wheel sports. There are technical trails at the Gravity Park, which are really interesting and will put your freeriding skills to the test. You’ll also find fantastically scenic though fairly easy stretches – just right for those with less experience”. “Elba Gravity Park has a great wealth and variety of beautiful, fun-packed landscapes, especially in the mining area of Termine, about half way between Rio Marina and Cavo”. “Here, you really feel as though you’ve been catapulted into another reality, a sort of mining desert surrounded by thick Mediterranean maquis. Fun is guaranteed. 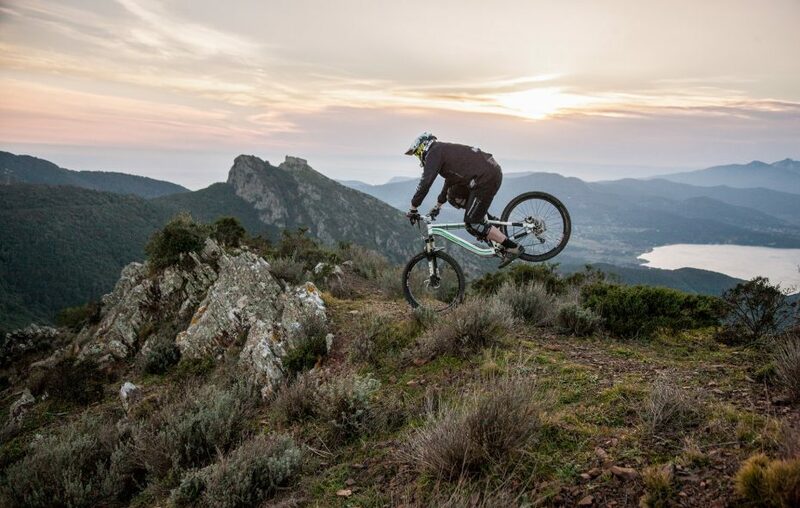 There are technical trails for enduro, freeride and downhill with natural and artificial drops, bridges and ramps. Fast as well as flowing sections”. “Have fun pedalling around Lake Conche, near Rio Albano. 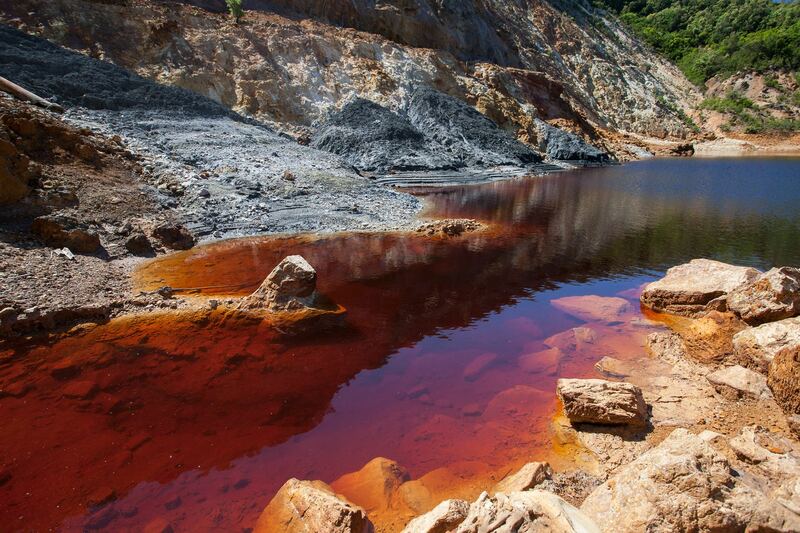 Discover the chromatic wonders of the mining areas of eastern Elba, which are fantastic after it’s rained and when the sky clears”. For more information: Colori cangianti – by Roberto Ridi. 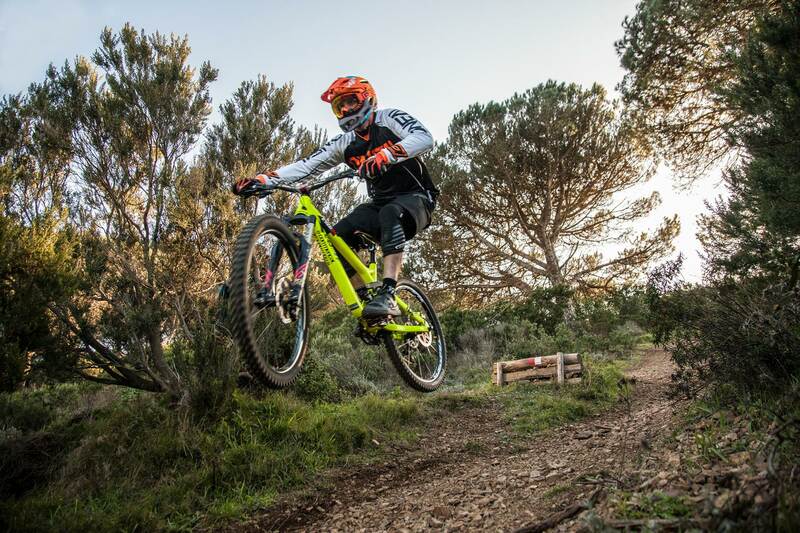 “The constant companion, as you cycle along the trails in the Elba Gravity Park” concludes Dario Scattu “is the sea. You’ll come across panoramas that are so irresistible that you’ll want to get off your bike to take in the dream-like, yet very real, view before you. And you’ll see that it was all well worth the effort”. 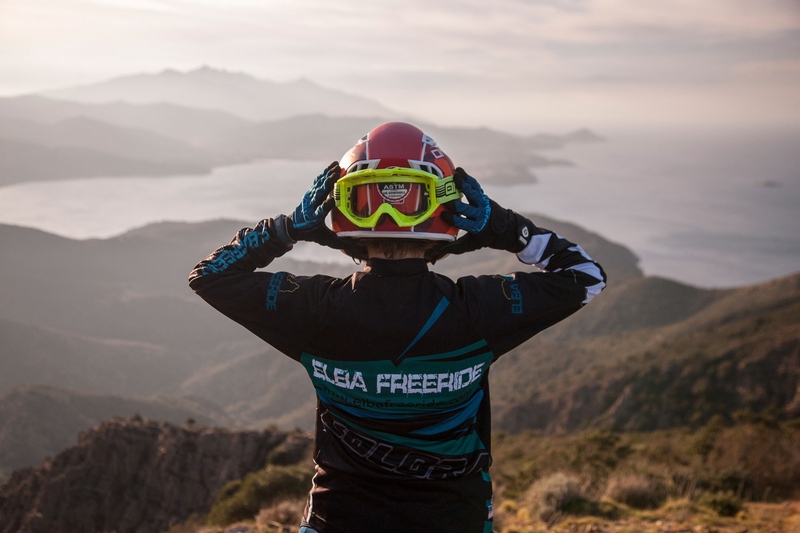 If you’d like to take a guided tour, Elba Gravity Bike expert guides are available to show you the best trails; the Association can also deliver a bike to your accommodation. 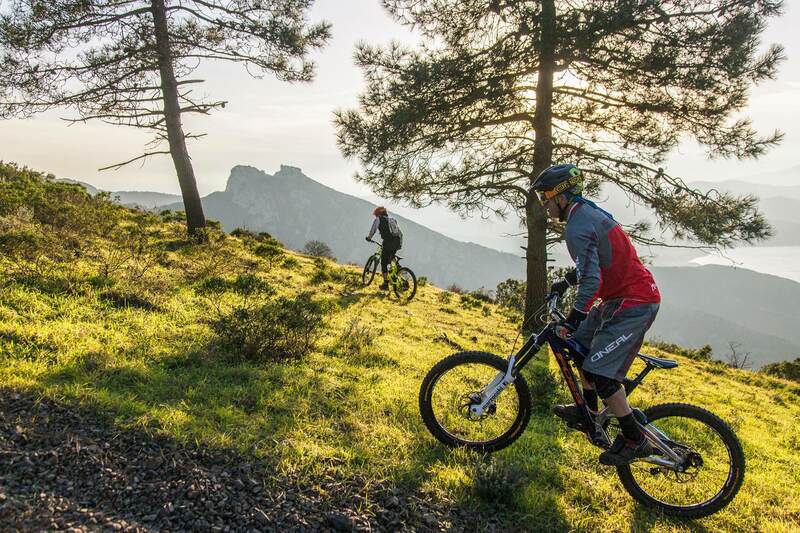 Mountain biking can also be incredibly romantic; Elba Gravity Park guides can take you up the slopes of Monte delle Panche to watch the sunset. A truly memorable experience. End your day at one of the B & Bs we have selected for you. 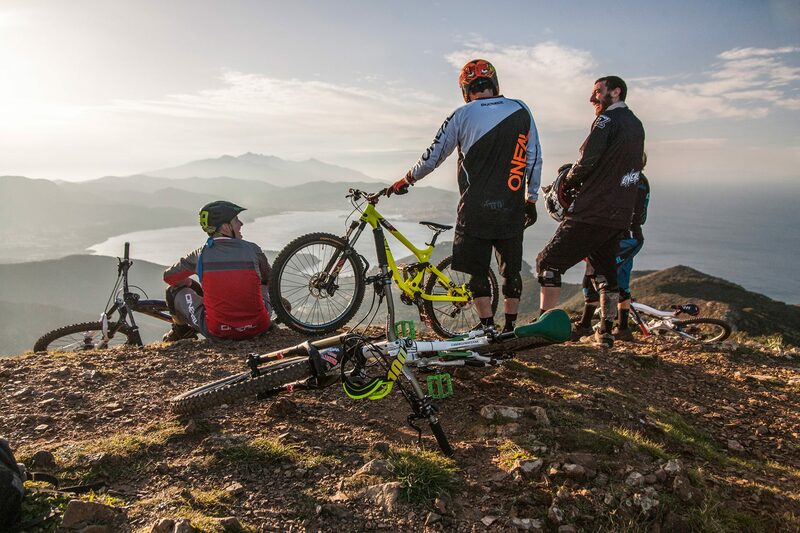 You can travel light to Elba without the bother of bringing your own bikes and gear; Contact Gravity Park staff, who will deliver everything you need directly to your hotel. Elba Unexpected Paradise thanks Dario Scattu, founder member of ASD Elba Gravity Park, for sharing a day out on the Gravity Park trails.